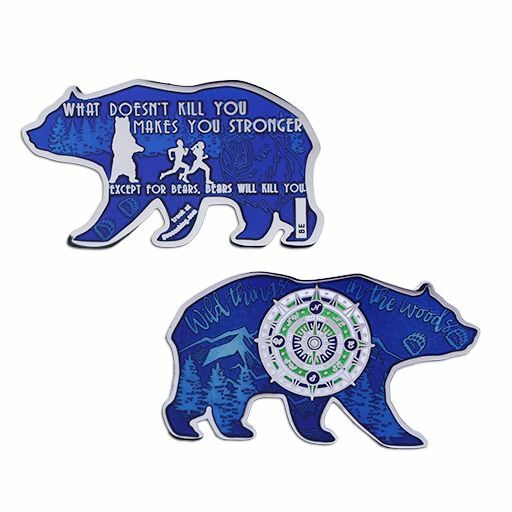 This Limited Edition bear geocoin is trackable at Geocaching.com with a unique icon. Dimensions: Approximately 2 inches x 1.125 inches. It shows an intricate mountain and compass scene on one side of the bear, with some inspiring words on the other. These limited edition coins are sure to be a scary, fun and an impressive addition to any collection or can be found chasing geocachers one geocache at a time!